Jack Tempchin is primarily known as a songwriter. He greatest fame came for his songs recorded by The Eagles and Glenn Frey; but other artists such as George Jones, Emmylou Harris, Trisha Yearwood, Tanya Tucker, Kate Wolf, Tom Rush, Richie Havens, and a host of others have recorded his material. Tempchin’s approach is about as laid back as they come, but he is perfect for a small club setting. His patter and stories between the songs only add to the atmosphere. Live At Tales From The Tavern is a heartfelt live presentation by Jack Tempchin of some of his notable material. It is a fine way to spend an hour. Article first published as Music Review: Jack Tempchin – Jack Tempchin: Live At Tales From The Tavern on Blogcritics. I assume the first time I ever heard Etta James was when some oldies station played her hit “The Wallflower (Dance With Me Henry)” during the late 1960s. By the end of the decade she was sharing time on my turntable with the likes of The Beach Boys, The Beatles, and Led Zeppelin. Jamesetta Hawkins (1938-2012) was a seminal music figure during the mid-1950s as she was a connector between classic rhythm & blues and rock and roll. While she never really crossed totally over to a rock format, her style and sound helped to clear the way for artists who would follow. Her recording career began during 1954 and continued to near her death. She was diagnosed with Alzheimer’s disease during 2008 but managed to issue her final album, The Dreamer, in 2011. If there is anything better than Etta James in the studio, it is Etta James on stage. She was a constant presence at the Montreux Jazz Festival. Eagle Rock Entertainment has now gathered 11 of her performances spanning four appearances at the festival, 1975-1993. She always had a strong blues foundation and “Dust My Broom” (1975) and “Sugar on the Floor” (1989) returns her to those roots. The six performances, recorded July 15, 1993, have a cohesiveness that is somewhat missing from the second half of the release as they tend to fit together well. Songs such as “I Just Wanna Make Love to You,” “Come to Mama,” and “A Lover Is Forever” explores the gritty and passionate R&B side of her career. The two most interesting tracks are from her 1975 appearance. The nine-minute “Respect Yourself” and the 10-minute “W.O.M.A.N.” find her at the height of her career and demonstrate how she could work a crowd for an extended period of time. The album purports to present the best of her Montreux performances. Personally I would prefer to have the entire performances rather than just various songs from a number of sets and years. Whether any more of her material exists from these shows is unknown to me at this time, but the recording of older Montreux shows was spotty. Still, it’s nice to have the debut of these songs as they present a fine introduction to her music. Etta James passed away January 20, 2012, and Live At Montreux: 1975-1993 is a statement that her like may not pass this way again. Article first published as Music Review: Etta James – Live At Montreux 1975-1993 on Blogcritics. 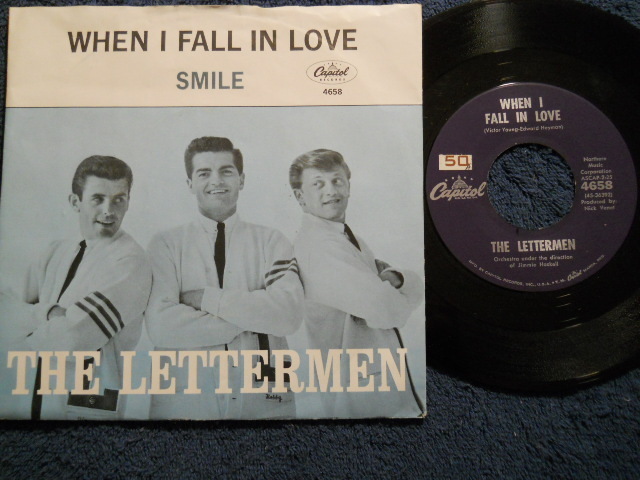 Jim Pike, Tony Butala, and Bob Engemann formed The Lettermen in 1958 and during the 1960s they became one of the kings of harmonic pop. They placed 21 singles on the BILLBOARD MAGAZINE Pop Singles Chart, 1961-1971. More amazing was their album sales as they had 32 consecutive album releases reach the BILLBOARD Pop Album Chart. “When I Fall In Love” was a top 20 hit for Doris day back in 1952. They remained true to her version but added their tight harmonies to the mix. Released as a single, it reached number seven on the BILLBOARD Singles Chart. It also reached number one on the Adult Contemporary Chart. Tony Butala now owns The Lettermen name and they are still out on the road. A funny thing happened to Kenny Loggins after he was signed to the Columbia Label as a solo artist. He ran into Jim Messina who had played with The Buffalo Springfield and Poco. A duo would be formed and between 1972-1976, they would sell millions of albums and place 10 singles on the BILLBOARD MAGAZINE Pop Singles Chart. 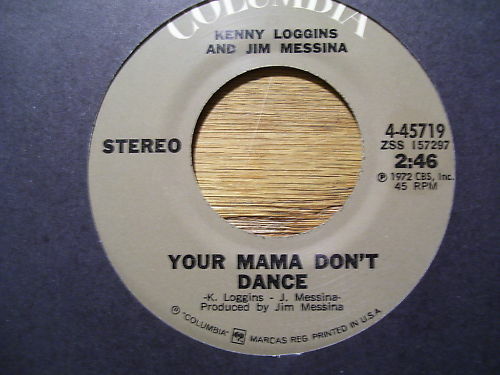 Their highest charting single was “Your Mama Don’t Dance,” which was released during late 1972 and peaked at number four on the BILLBOARD Singles Chart. It was just about a perfect rock/pop song with impeccable harmonies. It remains a highlight of their career. 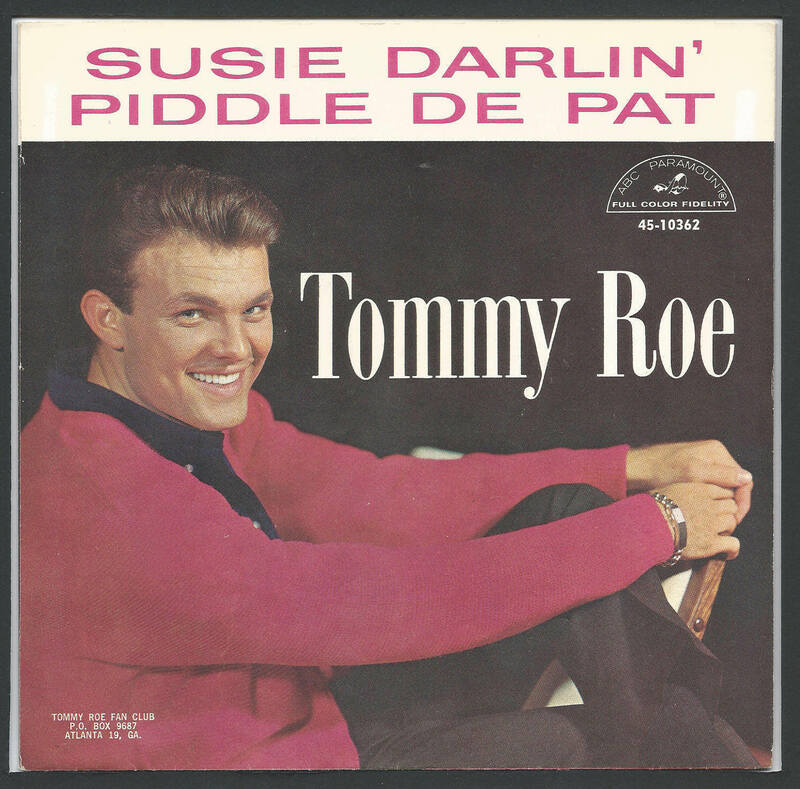 Tommy Roe’s first chart hit went all the way to number one when “Shiela” spent two weeks at the top of the charts during the summer of 1962. His follow-up single was not as successful but in many ways was a better listen. Today Roe is remembered for his bubblegum hits of the late 1960s but during his early career he could rock every now and then. “Susie Darlin'” was a nice little rocker that was catchy and stayed in your mind. 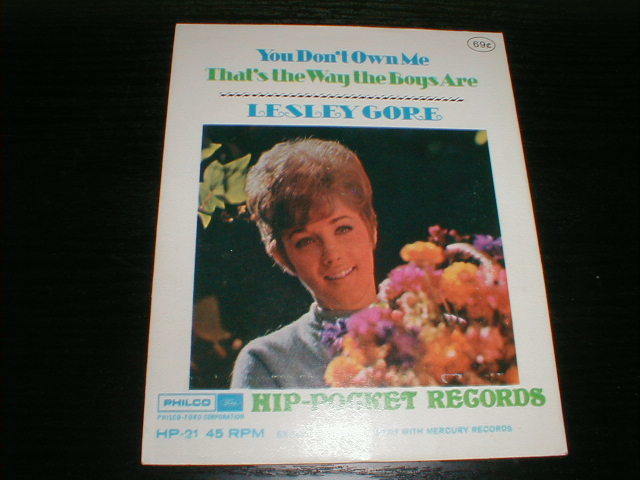 It peaked at number 35 on the BILLBOARD MAGAZINE Pop Singles Chart during late 1962. Roe would move to England during the mid-1960s and when he returned to the United States in 1969 his sound was very different. 1954 was comning to an end and The Chordettes would have the last number one song of the year and the first of 1955. Their “Mr. Sandman” would be the only number one song of their career and while not issued during the rock and roll era, it would always be associated with that time period. The Chordettes formed during 1946 as a folk group similar to The Weavers but quickly evolved into a traditional vocal group. There were a number of personnel changes but the four some that sung on “Mr. Sandman” were Janet Ertel, Carol Buschmann, Dorothy Schwartz, and Lynn Evans. It was a huge hit topping all three BILLBOARD MAGAZINE Charts. Best Sellers In Stores Chart – 12/18/54 – 7 weeks at number one. Most Played By Disc Jockeys Chart – 11/27/54 – 6 wweks at number one. Most Played In Jukeboxes Chart – 12/18/54 – 4 weeks at number one. The Chordettes would almost make it back to the top of the charts in 1958 when “Lollipop” spent two weeks at number two. They would disband in 1961. You are currently browsing the Muskmellon's Blog blog archives for September, 2012.